You can’t visit Belarus without trying Belarusian cuisine! Local people here are famous potato lovers, almost every traditional course here includes Bulba (potato in Belarusian). 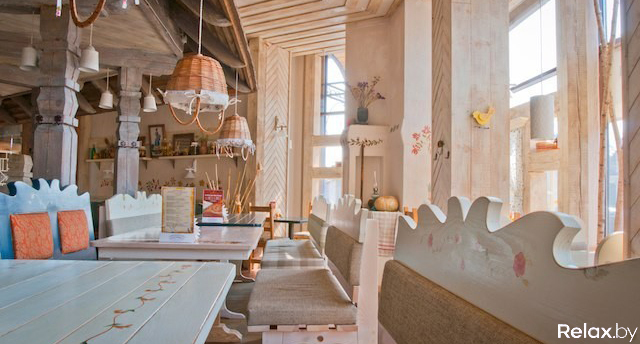 Try it out in one of the Minsk restaurants listed below! Belarusian cuisine in a medieval atmosphere. Try popular Eastern European non-alcoholic drinks like ‘mors’ and ‘kvas’ or alcoholic ‘medavukha’ and ‘khrenavukha’ with traditional Belarusian soups and other dishes. On weekends you can enjoy Belarusian live music. 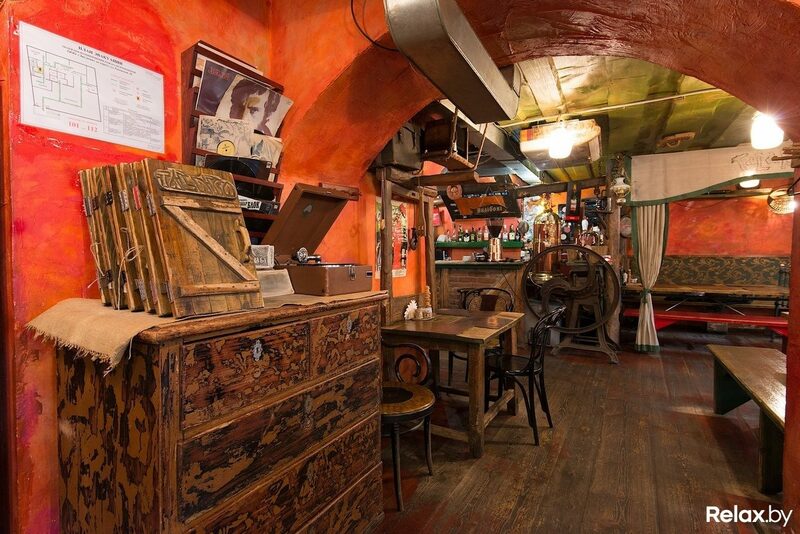 Inside this Minsk restaurant you will be transported back 100 years – with its nostalgic décor of old irons, cookware, and agriculture tools. Talaka means ‘community’ in the Belarusian language and this is how it feels when eating here. Try out their soup served in a bread bowl instead of a plate! They have a choice of traditional platters that will feed two people. Also try a typical Belarusian alcohol drink called ‘krambabulya’. 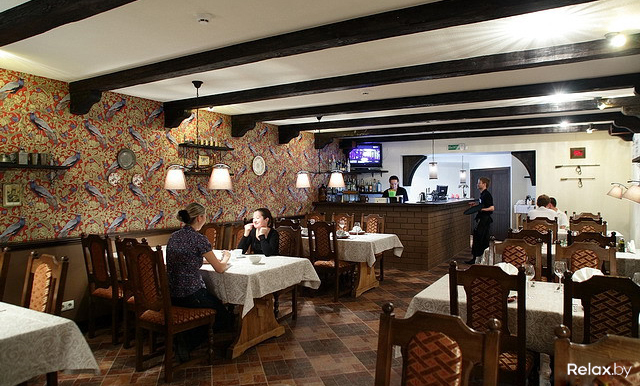 One more Minsk restaurant with good Belarusian food and some medieval interior to boot. The only downside is their high prices. You can try some Belarusian traditional dishes and Belarusian alcoholic drinks such as ‘hrenavuha’ and ‘krambambulia’. Za zdarovje! ‘Kuchmistr’ is the medieval Belarusian way of saying ‘chef’. The food you will be served here is a throwback to the Grand Duchy of Lithuania (Belarusian lands were part of it from the 13th -18th century). Here you’ll be able to try two different types of historical Belarusian cuisine: peasant dishes and gentry dishes. Because we are not fans of the class system so we recommend you try both! The name ‘Vasilki’ means ‘cornflower’ – it’s our national symbol. Here you can try our famous ‘draniki’ and ‘kolduny’ with meat (made of potato, of course) and ‘Salianka’ soup. This place is also child friendly: they have a special menu for kids, baby chair and coloring books. This entry was posted in To Eat & Drink. Bookmark the permalink.